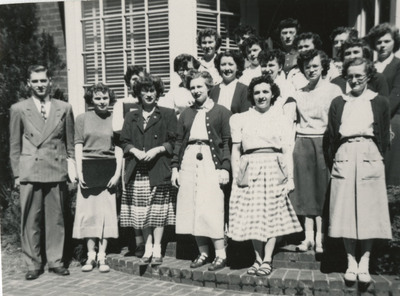 The 1954 Honors "A" Class stands in front of the Graduate Nurses' Home. Unknown, "The 1954 Honors "A" Class" (1951). Good Samaritan School of Nursing Photographs. Image. Submission 192.